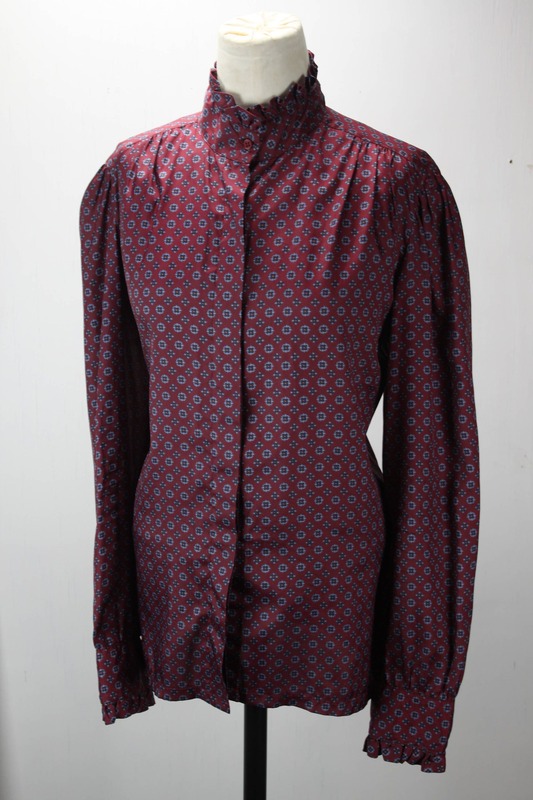 This vintage blouse by WeatherVane is in stunning condition! 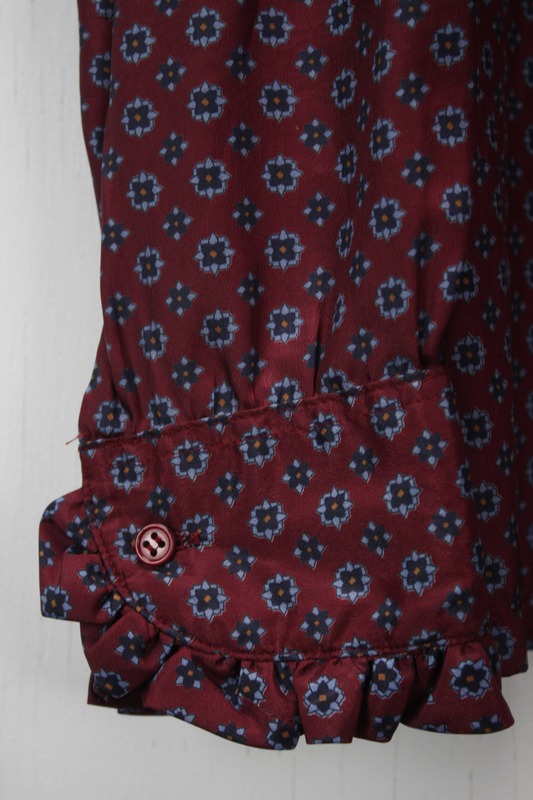 Made from unknown fabric - Has a silky feel and a stretch weave. 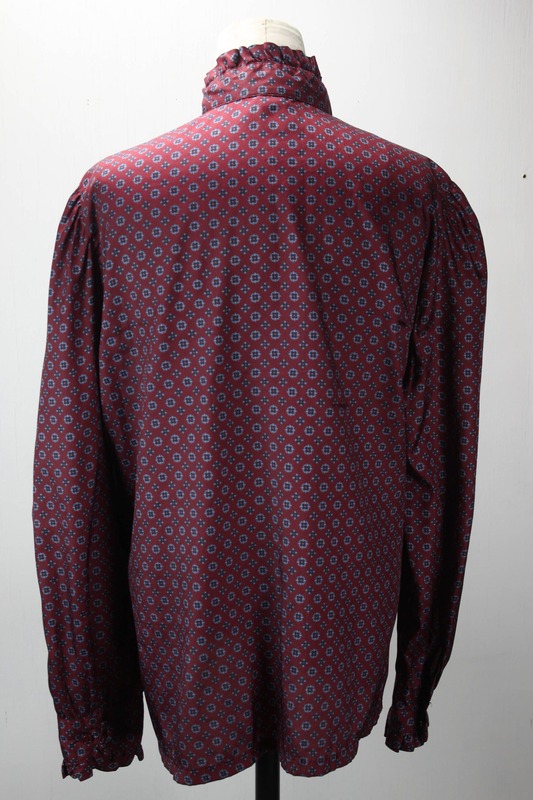 The blouse features a traditional Victorian pattern of blue medallions on a burgundy field and has a "polka dot" feel at a distance. 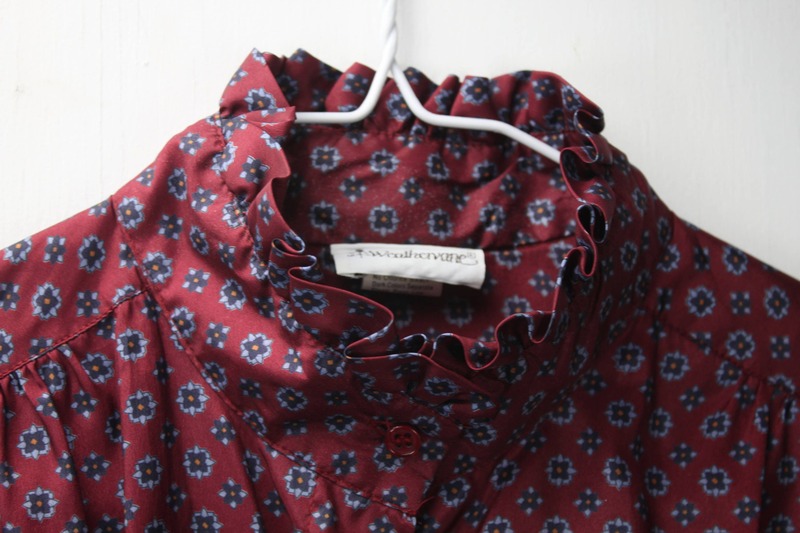 Very much reminiscent of the Gunne Sax / Prairie style that was prevalent during the 1970's . 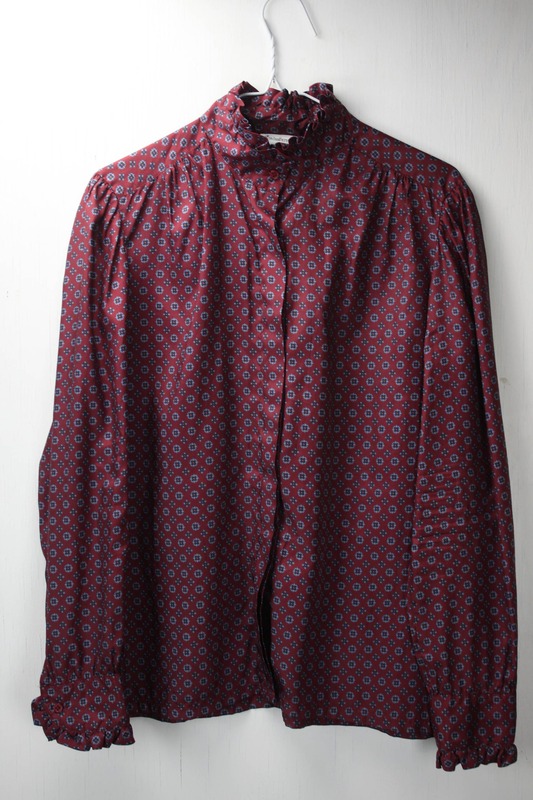 This shirt has a 6 button front closure, Ruffled collar and cuff.